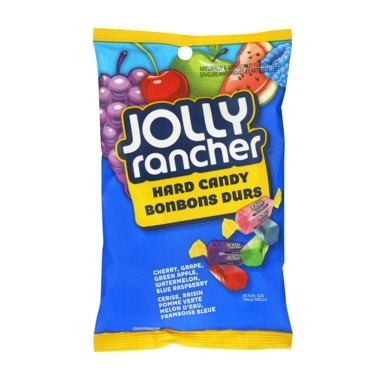 Jolly Rancher candies are bursting with a bold fruit flavour that will wake up your sleeping taste buds. One of my favourite hard candies. Resist the urge to bit them because they stick to teeth more than most hard candies. If you like Jolly Ranchers then you'll be pleased with these. If you haven't tried them before and have a sweet tooth then I highly recommend them. There were 33 individually wrapped pieces in the bag in case you were curious. Very tasty!